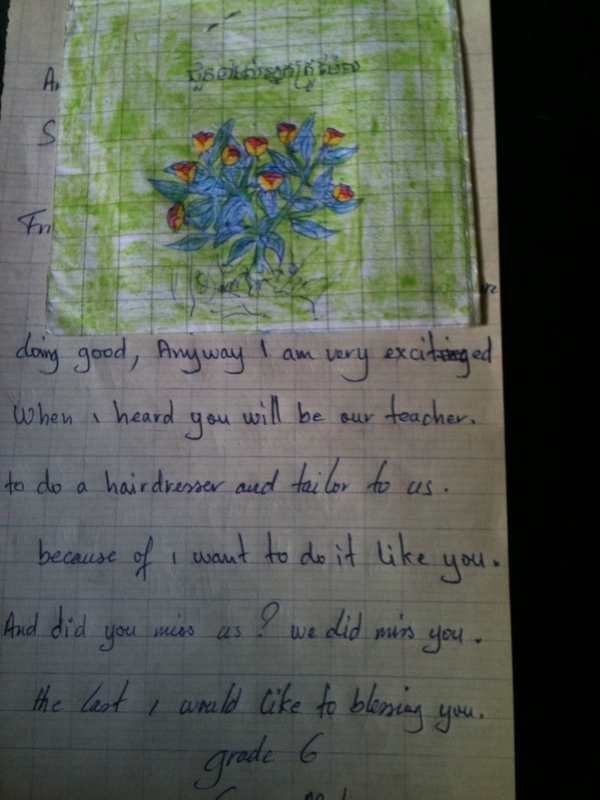 Today Mel (one of our amazing volunteers) received letters from the children of Anlong Krainh Village. They know her because earlier this year she lived in their village with them and helped me shoot the Life is Beautiful video. She met some of the incredible children I always talk about. One of them was Sokkah and we all believe he is a born leader with limitless potential. Mel had told them that she would return to teach Hairdressing to them. The kids are ecstatic. 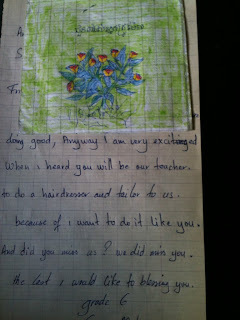 They wrote back to her to say how much they are looking forward to these classes. Here is the letter from Sokkah. Click on it to enlarge. He asked if Mel misses them. I think we all know the answer to that.